this gem of a cafe is a short work from my work in southbank. as you’d expect, being so close to a host of corporate offices means that there is the typical breakfast and lunch rush, however its usually still possible to grab a stool along the bar for one or wait a few minutes for a table. located in the iconic and heritage “bond store’ building, this cafe has a very “melbourne” feel to it – exposed brick, wooden bar, chalkboard menus, frosted glass windows – its great! 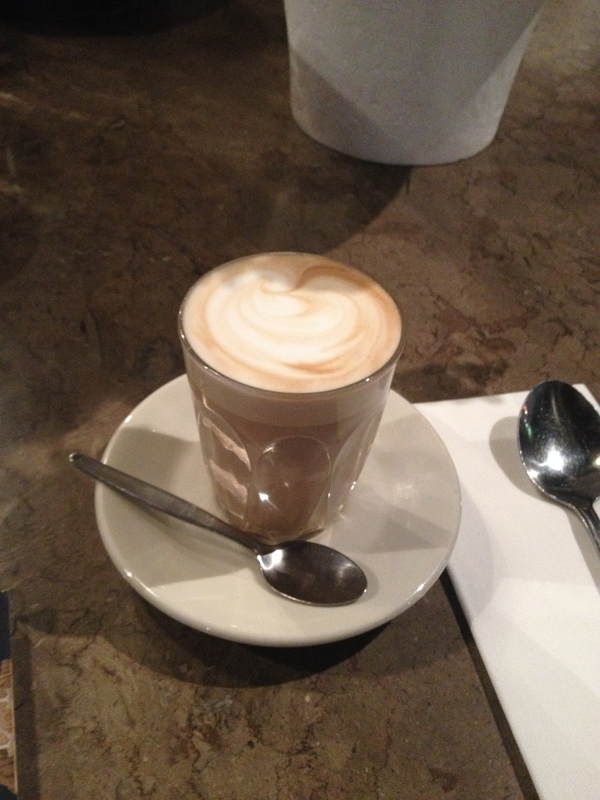 the coffee is also sublime – and for this reason i go back time and time again. i’ve also become a huge fan of their porridge. creamy and delicious, with plenty of fresh berries and a side of milk and maple syrup. 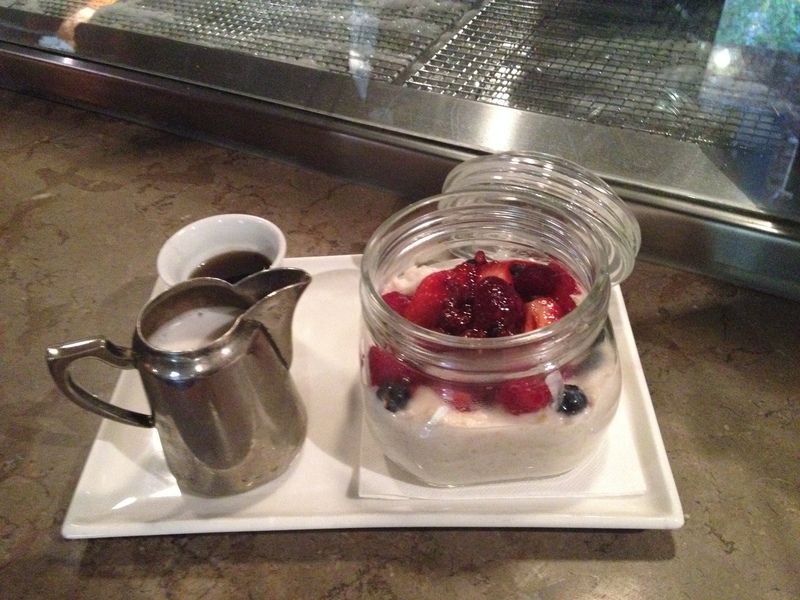 its also served in a super-cute glass jar. i could eat this everyday for breakfast. the staff are friendly, efficient and know your usual coffee order before too long.